A native of Southern California, Dr. Jimin Oh earned his undergraduate degree at the University of California at Berkeley. He continued on to earn his Doctorate of Dental Medicine from Harvard School of Dental Medicine before returning to his home state of California to pursue his orthodontic residency training from the University of California at Los Angeles. 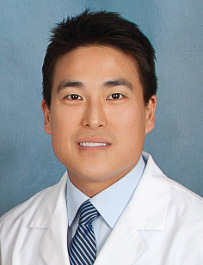 In addition to his formal orthodontic training and standard on-going continuing education courses, Dr. Oh is an active member of an elite Invisalign study club, so that he stays current with the latest materials and techniques to provide the best, most efficient, treatment options to his patients. Dr. Oh is a family man, happily spending the majority of his free time with his wife and three children. He is also dedicated to volunteer work, and has taken several dental mission trips, some as far away as Cambodia, Nepal, and Oaxaca, Mexico.